I knew I was in Paris, I knew that was the Seine beneath me, the sky above, but when I looked around for help, the grand apartment buildings of the Quai Voltaire stared back at me, indifferent. In the sixth arrondissement everything is perfect and everyone is lonely. This is the Paris of thirteen-year-old Paul. Shy and unloved, he quietly observes the lives of the self-involved grown-ups around him: his glamorous maman Severine, her young musician lover Gabriel and his fitness-obsessed papa Philippe. Always overlooked, it's only a matter of time before Paul sees something that he's not supposed to see . . .
Seeking solace in his unlikely friendship with tear-away classmate Scarlett and the sweet confections from the elegant neighbourhood patisseries, Paul yearns for unconditional love. But what will he do if he can't find it? Alicia Drake evokes contemporary Parisian life with the subtlety of a latter-day Francoise Sagan, and she captures in Paul the pains of adolescence as poignantly as Salinger's Holden Caulfield. 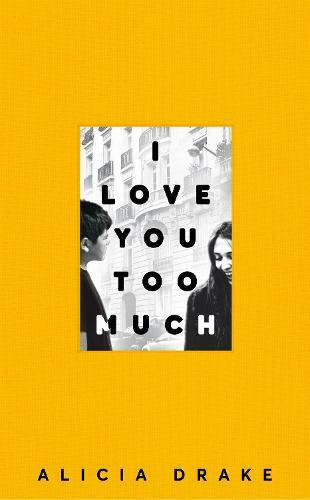 I Love You Too Much is a novel of extraordinary intelligence and heart, a devastating coming-of-age story told from the sidelines of Parisian perfection.